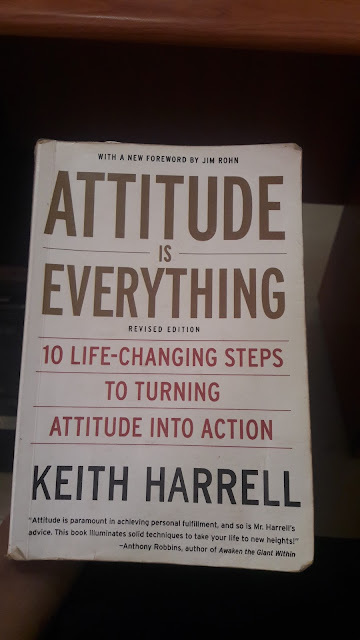 I was recently opportuned to go through Keith Harrell's "Attitude is everything" again after a very long time. I had the book while I was in Uni, but somehow I lost it without even discovering the gem that was in it. This time around, I wasted no time in bringing out my pen and book while I jotted some very key points which I'll be sharing with you today. Funny thing is that this part of the book I will be sharing is just the introduction, so now I'm wondering, what will the rest of the book be like? If you follow the blog well, you would remember that there was a guest post on attitude here ,you could just say that's the preamble of today's post. This post is basically telling you what you need to do to have a fantastic attitude towards everything in life. 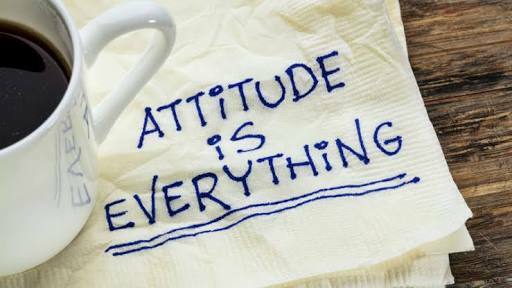 1) Understand The Power of Attitude: You need to understand that the various kinds of attitude we exhibit towards the situations in your life will either make it mar you. There is a wide range of attitude to choose from, it all depends on you. Just like you already know that a positive attitude will help you move forward in life, an attitude of defeat can drag you back to where you started from. It's your choice. 2) Choose To Take Charge Of Your Life: At the end of the day, it's your life. Don't allow anybody well you their dreams at the expense of yours, rise above low self esteem and every other thing that limits you and be in charge of your life. 3) Identify The Attitude That Hold You Back or Propel You Forward: I particularly love this point. While I was doing my self love challenge , this was a part of the final stage which was the growth stage. This is a conscious effort of recognizing the attitude that works for you and cause you to grow as well as those ones that inhibit growth. Obviously you have to consciously do away with the bad and embrace the good. 4) Reframe Your Bad Attitude: If we're being honest with ourselves, we all have some attitudes that we exhibit that we're not comfortable with and want to get rid of. As much as people tell you how sweet, nice and caring you are, you know deep down that there is something that keeps standing in the way of your movement. This is what makes us human, nobody is perfect. However, what sets you apart from the next person is your willingness to change this bad attitude because you already understand that you always have to strive to be better. 5) Find Your Purpose and Passion: There is no better time to do that than now in your youth. Find that one thing that you love and do it with everything in you. 6) Build Supportive Relationships: Here, you would have to develop an accomodating attitude. Little things like smiling and being polite makes you come off as accomodating. Supportive Relationships are very important because we all need people at some points in our lives. I am talking about people who add value to your life in all ramification and vice versa, people who share your dreams and visions and will do everything to push you to that level, people who are ready to tell you when you're drifting and are ready to set you back on track. I will tell you one thing though, they are very rare but they definitely exist, that I know for sure. 7) Leave a Long Lasting Legacy: Finally, wherever you find yourself let your impact be felt. Words of encouragement, an act of kindness, a reassurance of hope will go a long way in leaving a long lasting leagacy for you. People will take you for granted, you might not even be appreciated, never let that deter you from doing good. "A positive attitude is an investment" - Keith Harrell. Have your read this "Attitude is Everything"? What were your thoughts on the book? Which of these points will you be working on? I would love to know. Have a purposeful week ahead.